What is Garage Door Sealing? If you’ve ever had a garage door professional service your garage door, you might have been offered a “garage door seal” as an additional service. Most people just ignore this and think they are being sold something they don’t really need. And while garage door seals are more of a “nice to have” and not a “must have” for the safe and proper functioning of your garage door, there are still a ton of benefits to sealing your garage. Those benefits include: home security, energy savings and preventing insects from entering your home. Sounds pretty good already, right? 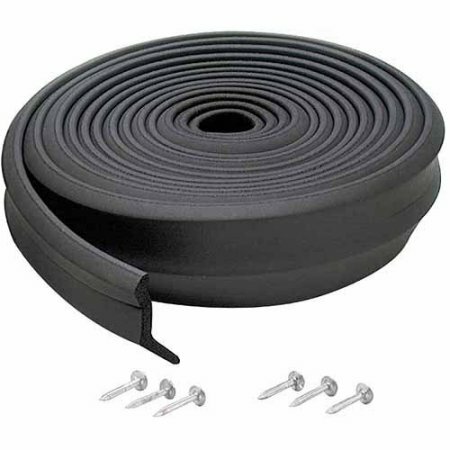 A broken garage door seal is an excellent place for a crowbar to fit and open your garage door. The garage is one of the main entry points to your home, and many robberies occur with the perpetrators gaining access through the garage door. Sealing your garage door helps to keep your garage door more secure. The seal, as you might have guessed, seals your garage door. So any gaps or holes that might exist in the door or between the door and the main structure of your garage, is a great place for insects to sneak in. If you have an attached garage, not only can insects affect the contents of your garage, but they can also make their way inside your home as well. A solid seal will help prevent ants and other creatures from causing a mess! The temperature of your garage can fluctuate greatly depending on the weather outside. Along with a garage that has insulated walls, and an insulated garage door, the garage door seal can also help prevent any areas that allow the weather outside, to come into your garage. By sealing your garage, you can help regulate the temperature of your garage. And if your garage is attached to your home, this directly affects the rooms adjacent to your garage, and above if you have a 2 story home. The energy savings you see on your bill helps to offset the cost of installing the seal to begin with. If you’re interested in having your garage door seals, make sure to call a reputable garage door company to take care of that. If you’re in the greater Los Angeles area, give GR8 Garage Door Repair a call! 310-982-6428.